Our Mother was a city girl that ended up being a bush woman when she went to the outback of Australia with our Father for a couple of years and ended up staying 22. The harshness of the desert, the flies and the never ending heat were an unbearable burden at times for even the most seasoned bush woman. 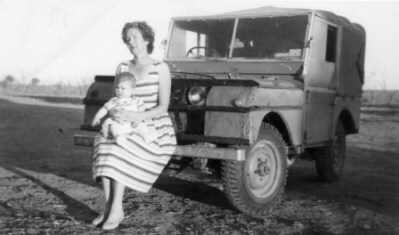 Bu the women who went with their men to the live in the remoteness and loneliness of the outback of Australia were a special breed. Pioneer women first starting going to the interior of Australia with their husband in 1800's, the men looking for a better life for their wives and children. They settled the land, some raising sheep or cattle, others growing our first commercial crops. The living conditions were very primitive and the wildlife strange and sometimes hostile. The interior of Australia wasn't a place for an unprepared or faint hearted white woman. Nevertheless the women went with their blokes and made a home, raised children, taught their kids to read and write and survived some of the worst conditions imaginable. And while our mother went to the outback in the early 1950's I consider her like the pioneer women who braved the harshness of our remote land a century before; she was a special breed like all the bush women. 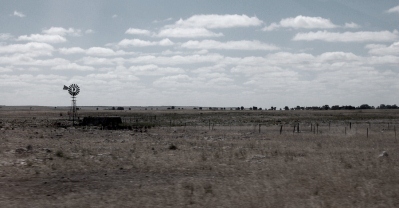 I was around three years of age when we moved to the outback, now the conditions were certainly a lot better than in the 1800's but it was still a hard and tough life. When we first arrived there was no electric power, no flushing toilet nor the comfort of a cool house in summer. It was not easy for our mum in those early years; She wasn't a born bush woman and she was a very creative person who painted, wrote amazing poetry and had a wonderful singing voice. She was a tall redheaded woman with very white skin, most unsuited for the harshness of the dust, the heat and the flies. She was suited for a more gentler life and clearly not really cut out in the beginning to be a bush woman. 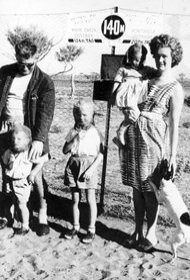 She grew to love the outback and become a true bush woman and her poetry reflects the love she came to have for the outback and the people. She loved our indigenous people and her poems The Legend of Bimi and Prejudice are a beautiful legacy of her deep affections. As an Australian bush woman she had to contend with a lot of harsh things; like dust storms that would come with regular monotony. The sky would turn dark and red & the dust particles stirred up by the ferocious wind would sting your legs. The bright red dust would pile up on the veranda and I can remember Mother would have to get a shovel to remove it... she wrote a poem about the dust. Also as a bush woman she had to get used to the old wood fire stove we had in the kitchen that had to be on all the time, which was great in the cold of winter but through the exhausting heat of the day in summer it would make the kitchen nearly unbearable at times but it was the only facility to cook on so it had to be kept going. 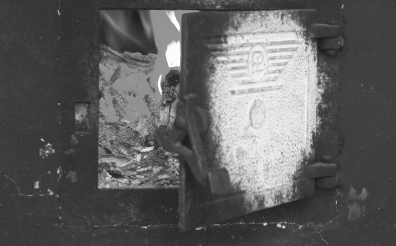 The woodheap was another thing she had to contend with. It was at the back of the house and was a haven for snakes, lizards and goannas. 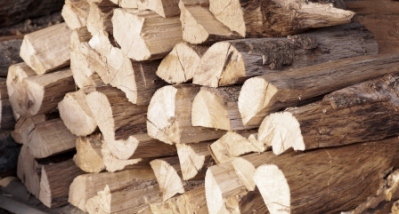 Dad would chop the wood every night and Mother would have to get it during the day if she needed it..... later on Maurice (my elder brother) and I inherited the task of chopping and fetching the wood. And we lived in a tin house! Yes I mean a corrugated tin house without any inside cladding (that is to say the outside walls were also the inside walls). It consisted of six rooms including the sleep out (as it was referred to) this is where I slept when I grew up a bit. The old house would heat up during the summer months and would freeze during winter if you let the old wood stove go out so in winter Dad would keep the old stove stoked up to keep the house warm. During a hot summer when temperatures reached 110 degrees outside the house was like a hot box. In the outback the heat is clear and dry with no moisture at all and it was really cooler outside than in the house. On those really hot nights we all slept outside on the veranda. We would have to sleep under mosquito nets as the mossies would replace the blowies at night and some of them were so big they would cart your house away. The bathroom had a woodchip heater to warm the dirty brown dam water for us all to bathe once a week. There was no showering facility as the rainwater from the tanks placed around the house was too precious to waste on that. The bath water was used by us all. Dad would bathe first, followed by Mother and then the kids, all using the same water. 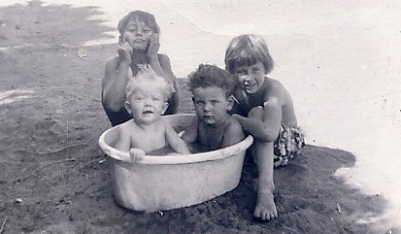 All the kids jumped in the bath together and the water was pretty dirty by then. 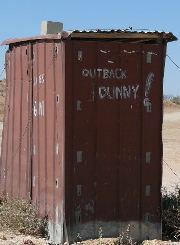 Then there was the other things she had to brave as a bush woman like the toilet which was situated some distance from the house and was a hole dug in the ground (known as the long drop) with once again a corrugated tin shed around it. A wooden seat with a hole cut out to place your bum and cut up newspaper to wipe it with. We were too scared to go to the toilet at night as it was a long way from the house and there was always the chance of a nocturnal meeting with a snake or a red back spider. Red backs are plentiful in the outback and are poisonous. I have never heard of anyone dying from a red back bite but they could make you very sick. The flies were something you just lived with. There were millions of them, and I mean millions! The good old Aussie wave was shooing flies off your face. As little kids Mum made us hats with see-through gauze to keep the flies out of our eyes. Quite often you would see kids with eyes swollen from being bitten by the flies.... so there were many things to get used to as a bush woman that most city women would never even think about. We lived 128 kilometres from a little town called Tibooburra in New South Wales. Tibooburra is an Australian outback town that's located 340 kilometres north of the city of Broken Hill and 1,187 kilometres (738 miles) from the New South Wales state capital of Sydney. Explorer Charles Sturt was one of the first Europeans to visit the Tibooburra area in 1844. Burke and Wills also went through the area in 1861. Gold was found in the area around Tibooburra in the 1880's and the town was established at the height of the gold rush. Tibooburra provides many services for the people of the 'Corner Country'. It is the drop off point for the mail and food trucks from Broken Hill. From there another smaller mail truck would deliver supplies to the outer areas. The mail truck made the rounds once a week. We loved the mail truck as kids; it would bring us our grocery products including Arnott's biscuits, boxes of cereal, tinned fruit and veggies, flour for the bread, sunshine powdered milk and on the special occasions the R M Williams catalogue. The town consisted of two hotels, a post office, a general store, a garage and the CWA Hall (Country Women's Association) in the early days of our life there. The pubs were a wonderful meeting place for all, Dad would get to have a few beers and there'd be lots of sing-a-longs and catching up on the local gossip. 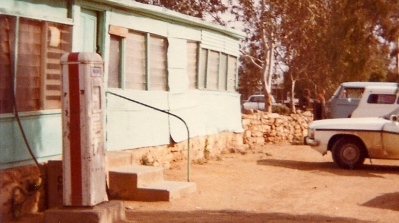 Another one of mums poems was about the Family Hotel in Tibooburra. The blokes would gather around the front bar and the the bush women would go to the lounge with the kids. We were allowed a treat or two like a packet of lollies or chips and maybe a coke or lemonade from the general store. 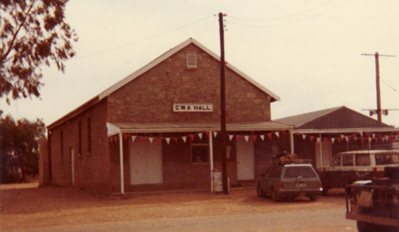 The bush women would also go to the Country Womens Association (CWA) hall for their monthly meetings. The CWA was an important part of outback women's lives as it was a place to meet and greet, share a cup of tea, a plate of scones and support each other. As a bush woman mum was part of this great organisation and for over the 22 plus years she lived there it was a wonderful help and assistance to her. Queensland and New South Wales formed the first branches of the CWA in 1922, followed by South Australia in 1928. All states and territories of Australia had branches by 1936. The bush women of the CWA helped during the Depression years with clothes and food parcels and during the war prepared and provided meals for travelling troops in South Australia & Northern Territory. Their war efforts have been recognised with the RSL Anzac Peace Prize. The women of the CWA organisation today are still very much admired and appreciated. I left the outback and came to live in Adelaide when I was 17 and still reside here in this lovely city but I often think of our mother & the other women that braved the elements of the outback and still do today and I admire them greatly. It can be a lonely and harsh life for any bush woman.